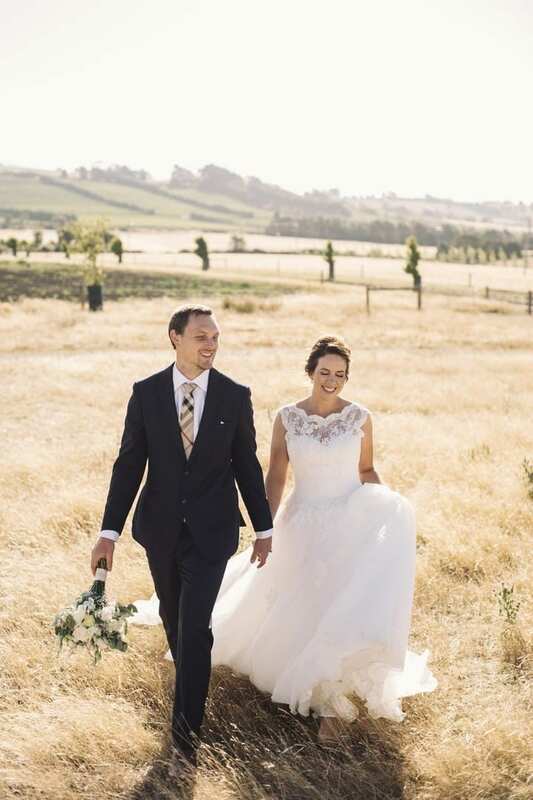 Our WLC real bride Roxy looked stunning when she wed her now husband, Hamish in a beautiful vineyard wedding in Launceston, Tasmania. The beautiful Josef Chromy Vineyard was the perfect backdrop for the couple’s wedding theme. 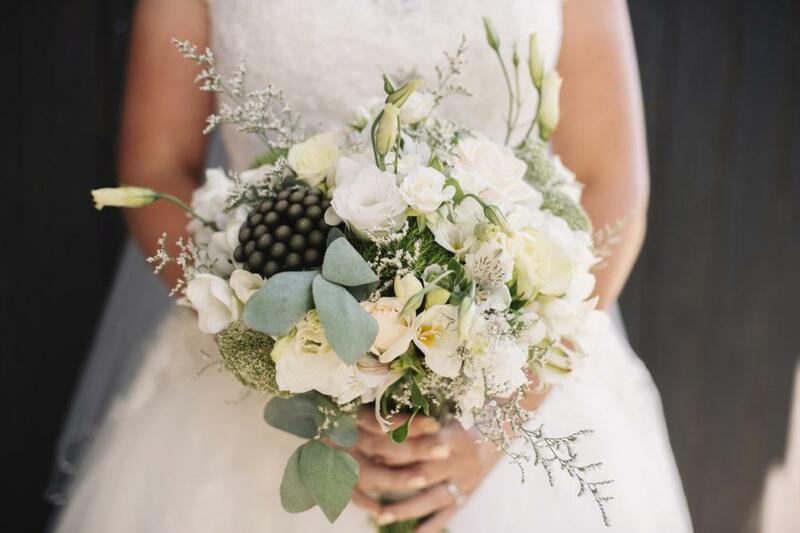 The feel of the day was highlighted by soft and romantic tones such as pastel pink, pale green and white. Roxy chose the TAMIRA gown by Pronovias to wear on her special day. The delicate scalloped-neck ballgown features lovely lace and voluminous tulle – ideal for the couple’s sweet, romantically – styled wedding. “It was the first dress myself and my sister spotted when we sat down in the dressing room. I tried Tamira on and instantly felt like a bride, the amazing train, a slightly dipped back that didn’t leave you feeling exposed. I have received so many complements, I am so happy to have found it” she said. Take a look at Roxy’s dreaming vineyard wedding and the gorgeous TAMIRA gown below!